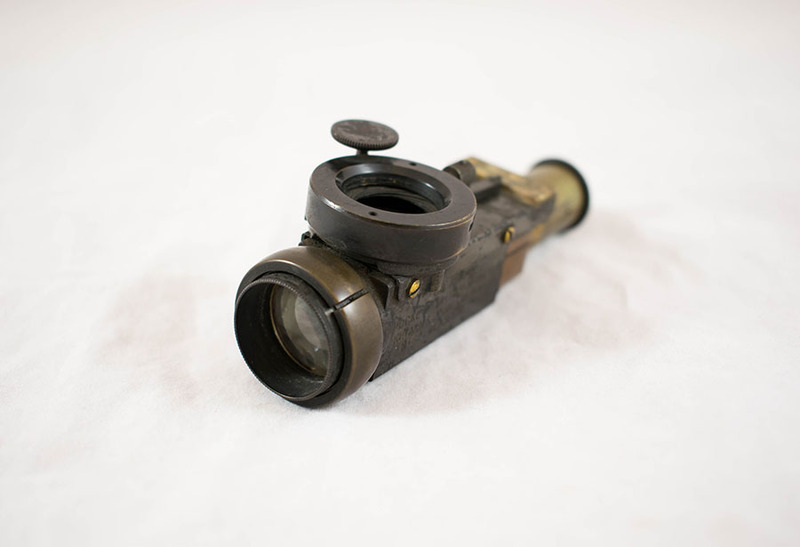 Thomas Reid's portable ophthalmometer, glass and metal, in leather-covered case, c 1890s. 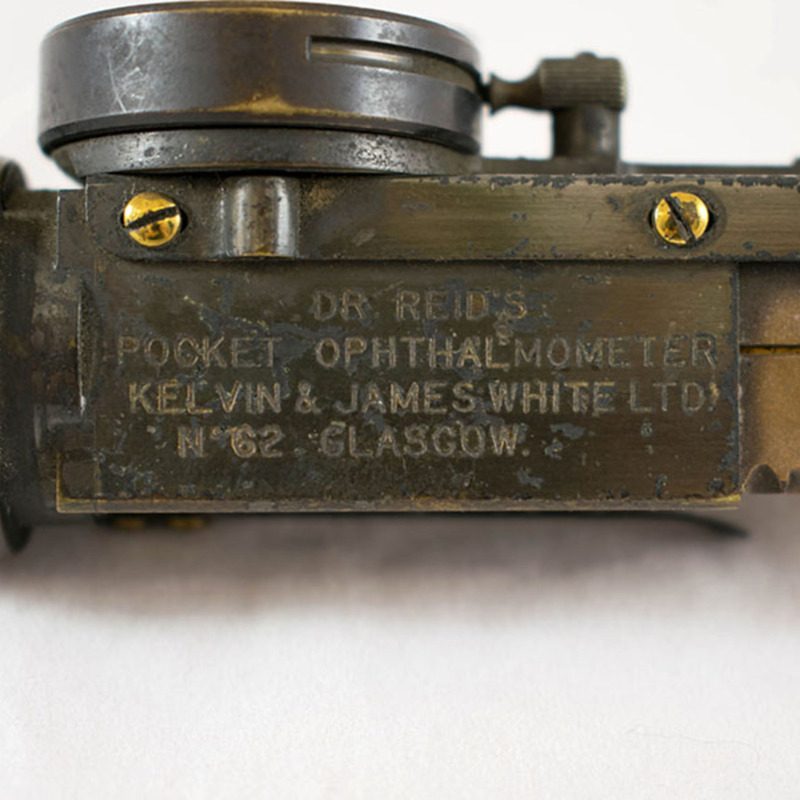 Thomas Reid was an ophthalmologist in Glasgow during the late 1800s. He graduated from the University of Glasgow in 1857 and was a pupil of the famous ophthalmologist, William Mackenzie. 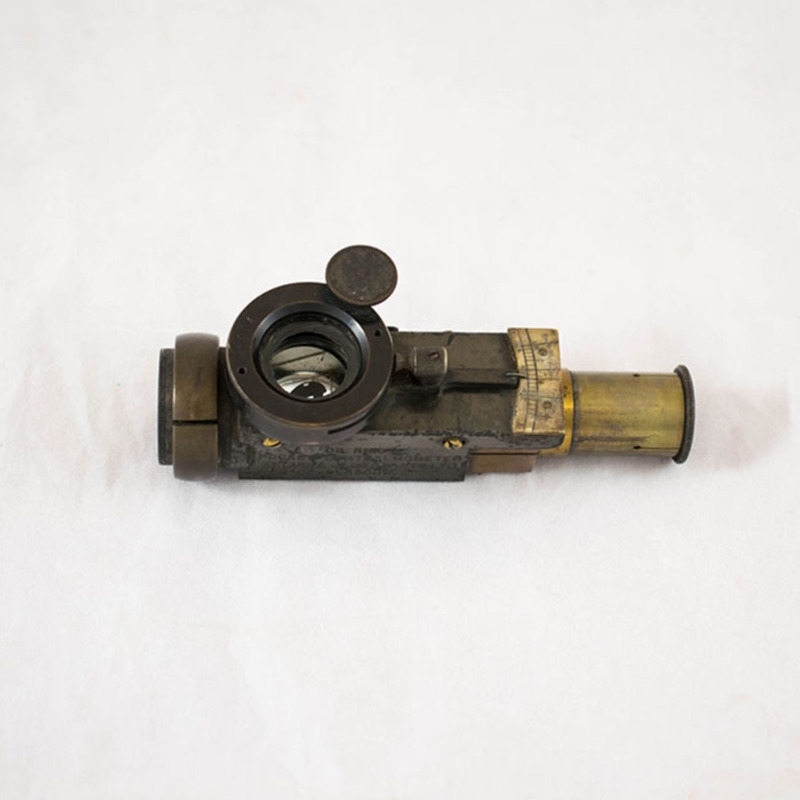 Reid designed this instrument to measure the curvature of the central area of the cornea. It was presented to the Royal Society of London in 1893, and the paper was communicated by Lord Kelvin. 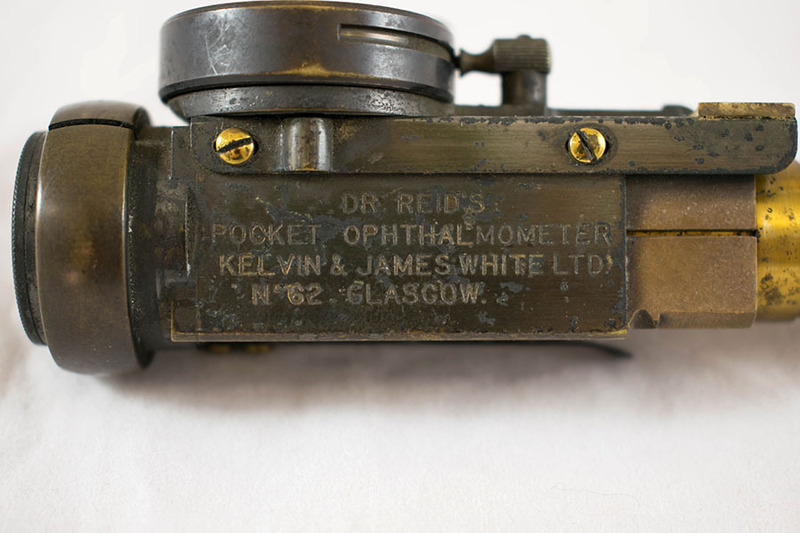 Kelvin & James White Ltd.; 1900-1914; Optician and mathematical instrument maker, “Thomas Reid's Portable Ophthalmometer,” Heritage, accessed April 23, 2019, https://heritage.rcpsg.ac.uk/items/show/157. 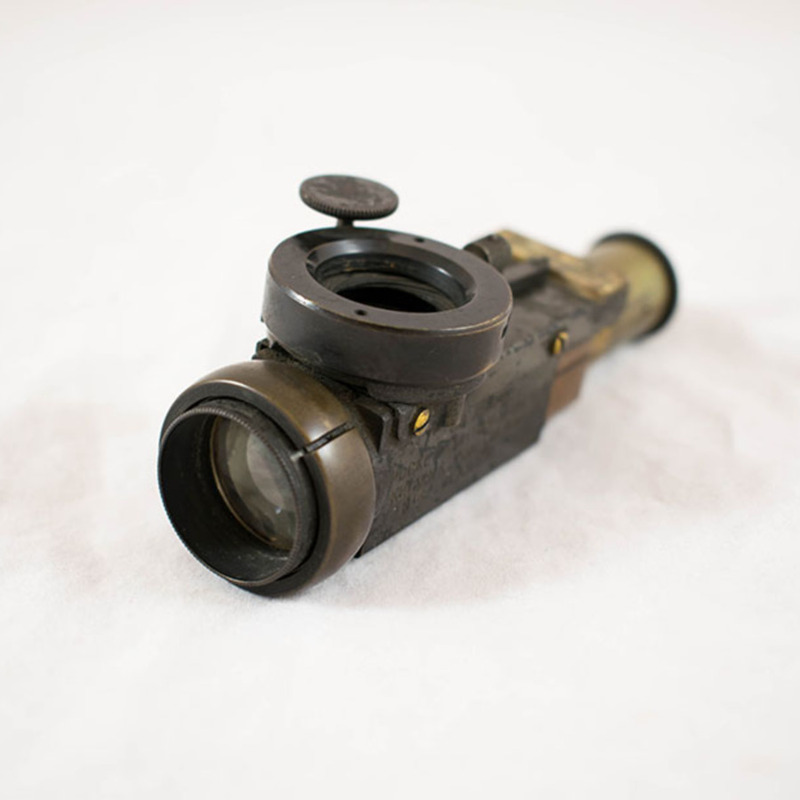 Description: Thomas Reid's portable ophthalmometer, glass and metal, in leather-covered case, c 1890s. Thomas Reid was an ophthalmologist in Glasgow during the late 1800s. He graduated from the University of Glasgow in 1857 and was a pupil of the famous ophthalmologist, William Mackenzie. 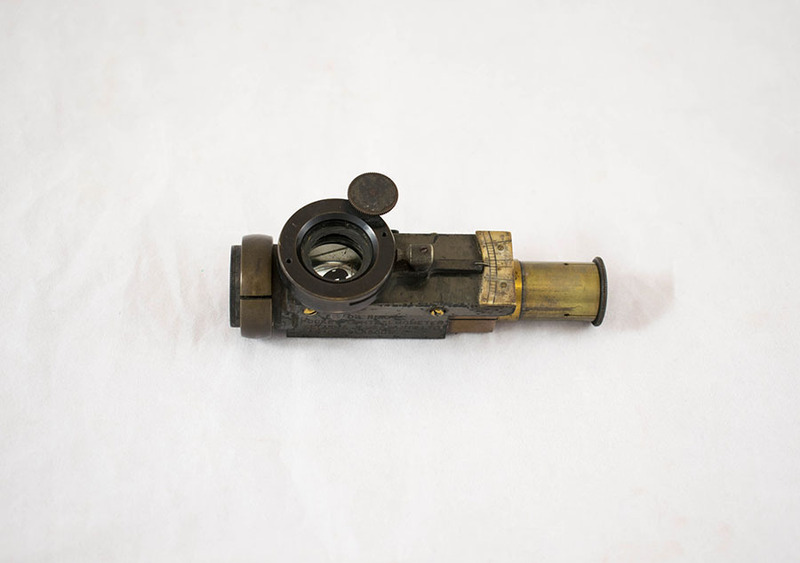 Reid designed this instrument to measure the curvature of the central area of the cornea. It was presented to the Royal Society of London in 1893, and the paper was communicated by Lord Kelvin.